Castor oil plant (Ricinus communis L.) having imperative medicinal and industrial significances. 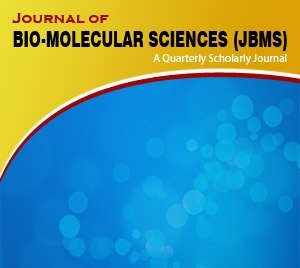 In the present study, we observed the biochemical and molecular characterization of castor bean (Ricinus communis L.) collected from different climatic zones of Pakistan (Lahore, Peshawar, Rawalpindi, Dera Ismail Khan, Swat and Kohat). The protein banding pattern of all 6 accessions was found same and no specific variation was noticed among the proteins of high molecular weight. However, small amount of variation was found in the number and intensity of low molecular weight. RAPD analysis of four primers (OPA-01, OPA-03, OPA- 09 and OPA-10) bares no variation in the genomic DNA banding patterns. Variations were found in the photosynthetic pigments attributes of the studied genotypes with high Chlorophyll a, b and total Carotenoids contents in plants of Kohat zone while lower level was found in plants of Swat zones. The present study revealed no variation among the genotypes by SDS-PAGE and RAPD. However it is useful to distinguish different form of castor with special reference to photosynthetic pigments grown in diverse climatic zone. Medicinal plants have an appreciable value in the development of modern therapeutics. In the present study ethanolic extracts from the leaves of nine selected medicinal plants, including Calendula arvensis, Dodonaea viscosa, Olea europaea, Ficus carica, Otostegia limbata, Withania somnifera, Eucalyptus camaldulensis, Mentha longifolia and Cannabis sativa were assessed against Escherichia coli, Klebsiella species, Pseudomonas aeruginosa, Salmonella species and Staphylococcus aureus using agar well diffusion method. All the selected bacterial pathogens are the major causative agent of human infectious diseases. Plant extracts used in the present study have shown potential activity against E. coli, P. aeruginosa, Salmonella species and S. aureus while inhibitory activity was exhibited against Klebsiella species. In comparison to ampicillin most of the plants showed increased activity against P. aeruginosa. Among the nine plant extracts, the Ficus carica showed highest activity against all the pathogens while exhibited increased activity (29 � 1 mm) against P. aeruginosa as compared to ampicillin (6 � 1 mm). The medicinal potential of selected plants was for the first time tested against a set of infectious disease pathogens and have shown remarkable activity. Further phytochemical analysis will be helpful for the future elucidation of novel therapeutic agents from these plants. American Foulbrood (AFB) disease caused by the bacteria Paenibacillus larvae, is a serious disease of honeybee throughout the world, that bring down a considerable economic loss to the beekeepers. All work was undertaken in the commercial Apiaries of Kohat and Peshawar regions that showed visual signs of AFB infection. In the investigated 32 Apiaries (containing 2100 colonies), 26 colonies were identified positive for AFB. This work was valuable for the over production of honey bees to kill the AFB bacteria which were identified in the current study.